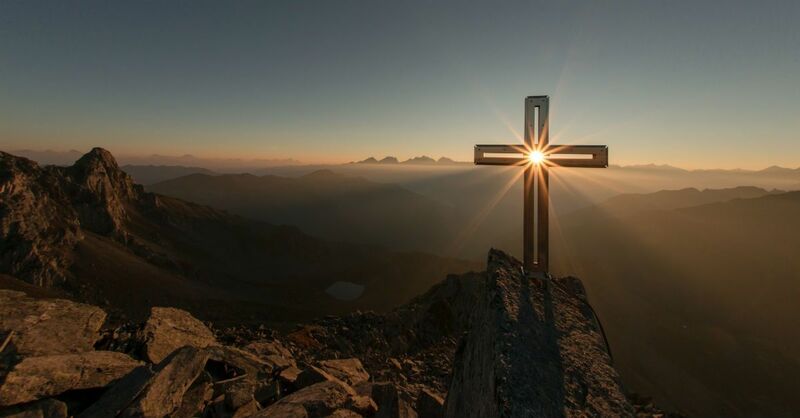 What Does It Mean to Take Up Our Cross and Follow Jesus? It was 1997, shortly after we at Thistle Farms opened our first home to provide sanctuary for survivors of addiction, trafficking, and prostitution. One evening as I walked past the house, I saw through the open window that one of our residents, Regina, was dancing. Regina came to us from years on the streets. She bore in her body and spirit the deep scars of all she had suffered. “I am having a Holy Ghost party,” she told me when I stepped inside to ask her about it. We laughed about it, and then I said goodnight. Once I was in the privacy of my car, I began to weep. I cried because I wanted to believe that in spite of all the pain and brokenness in this world, love is more powerful and forgiveness runs deeper. I cried because watching Regina dance with joy while “bearing her cross,” reminded me that taking up my own cross, the work at Thistle Farms, was going to take up so much of my life. And I cried because I couldn’t remember the last time I had danced with the Holy Spirit. Those tears were a sign of compassion for myself. They were healing tears that sprang from seeing Regina’s joy and knowing that this work was a way for me to learn to dance with the Spirit again. Compassion. Joy. Love. Gratitude. This is what it means to bear your cross. If your daily callings and commitments aren’t fueled by compassion and love, if they don’t bring you joy or fill your heart with gratitude, they’re not a cross you’re bearing. They’re a ball and chain. How can you tell whether you are carrying a cross or a ball and chain? If you are struggling with the idea of carrying a certain cross of compassion for others, reflect on these simple questions. Then prayerfully search for the next step forward in cross-bearing. Does the cross you are bearing begin with a seed of compassion? Jesus was calling us to feel deep compassion for the sake of others when He said, “Take up (your) cross and follow me” (Luke 9:23). At first glance, that may look like a huge wooden burden we are supposed to drag around on our backs. But when I think about bearing our crosses as disciples, I think those crosses start out small. They are as small as a seed of compassion for others. When we pick up that seed and plant it, compassion grows into something more beautiful and powerful than we ever could have imagined. Compassion moves us to step into the fearful places where we worry and despair. It gives us strength to take up our cross to bear another’s burdens. Does the cost of bearing your cross diminish in comparison with the love it produces? As they seed of compassion takes root in our lives, it allows us to give and receive love so that we become more loving disciples. This is what our daily commitment to bearing our cross is like. It is not about carrying some horrible burden. It is about falling in love. As we allow the seed of compassion to flourish in our lives, filling our hearts with love for God, our neighbor, and ourselves we find that we are growing into the disciple we were meant to be. Our journeys with crosses start small and then grow into something beautiful. Does bearing your cross fill you with joy and gratitude? Bearing our crosses is not about doom and gloom for us. On the contrary, our daily commitments should bring us joy and gratitude. Hebrews 12: 2 reminds us that Jesus faced Calvary with joy because He knew that his work there would bring healing and freedom to those He loved. Our crosses should also produce deep gratitude for the things that mean the most in our lives. They should remind us what we are willing to bear for the sake of love. Our crosses should whisper to us the sweet comfort that because we are tied to each other in love, we are never alone. Are you dragging around a ball and chain, or a cross? Regina’s life shows me how it is possible for us to take up our crosses and follow love. Her cross came from trauma that became a life-threatening addiction, and I am so grateful she had enough compassion for herself to bear it. Regina’s journey at Thistle Farms began when she learned to dance with the Holy Spirit along the road of healing, but it didn’t end there. She went on to help another two hundred women come off the streets. She is now one of the national education directors for the more than sixty communities working to help survivors around the country. Her full-circle journey helped teach me that there is less pain in bearing our crosses for the sake of love than in not knowing love at all. Regina preaches that when we have compassion for our own stories and brokenness, it is possible to dance with the Holy Spirit and offer compassion to others. Are you dragging around a ball and chain instead of bearing your cross? If so, cut it loose. We share a calling to love the world. It fills us with gratitude and joy and gives us a way to live. Come, take up your cross, and join the dance. Becca Stevens is an author, speaker, Episcopal priest, justice entrepreneur, and founder and president of Thistle Farms (Nashville, TN). Thistle Farms is the largest social enterprise in the U.S. led by survivors of prostitution, addiction, and trafficking. Her latest book is Love Heals (Thomas Nelson). Follow Becca on twitter @RevBeccaStevens or visit BeccaStevens.org and ThistleFarms.org.